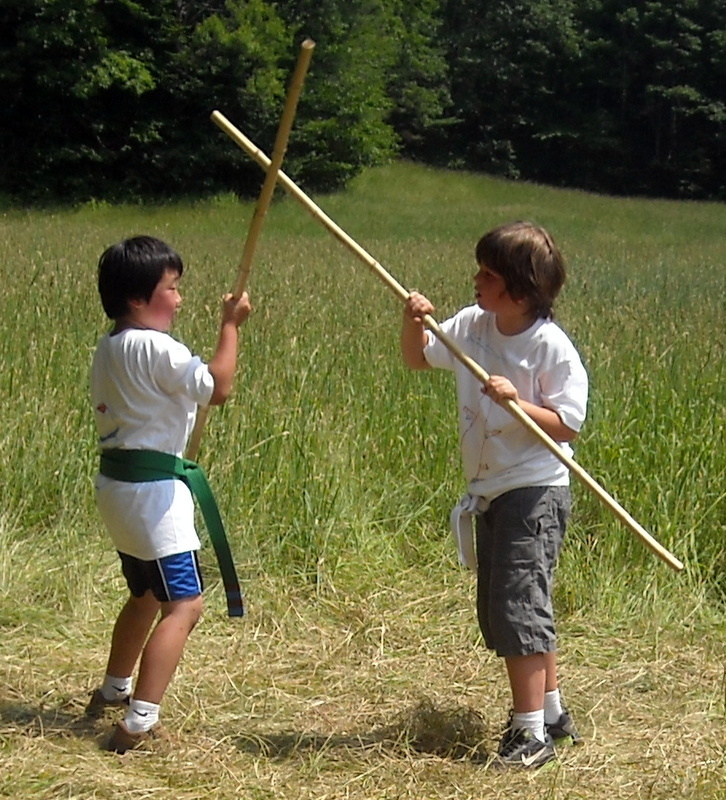 Join us for a week of Martial Arts & Nature Awareness training & play outside! Early Registration Discount: $25 if registered by April 1st. Amy Hyatt and other assistants are offering a week of aikido training (a traditional Japanese Martial art, translates as “way of harmony”) and nature awareness in the woods designed for youth ages 9-15 years old. Aikido, like most martial arts, began in nature and was guided by observing animals, birds, rocks, wind, rivers, trees and becoming attuned with the energies of life. We will also work on our scout skills – our ability to move through the woods quietly and to sneak up on each other, maybe even a coyote! As Shambhala Warriors, we will train for compassion and insight into Life – and have fun, joy, and wonder as we explore nature and the martial arts. Amy has been training in aikido since 1998, holds the rank of shodan (1st level black belt) and has been sanctioned by her Sensei to teach aikido. 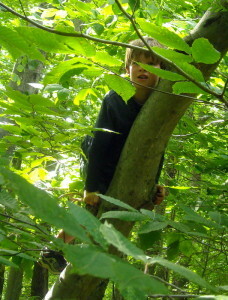 She has been teaching nature awareness & survival skills since 2002. Amy will be joined by other staff and volunteers, to create an awesome week of summer camp!! Earning Bandanna Levels! (Many martial arts have belt ranks to acknowledge increasing skill levels. At Shambhala Camp, we have Bandanna Levels recognizing skills being developed by the campers). The Shambhala Warriors are ones who train in and use the “weapons” of compassion and insight to go into the halls of power and dismantle the weapons of destruction. The Kingdom of Shambhala comes from a Tibetan prophecy over 1200 years old. This interpretation is derived from Joanna Macy who spent time with a group of Tibetan monks in the 1970s and early 1980s. 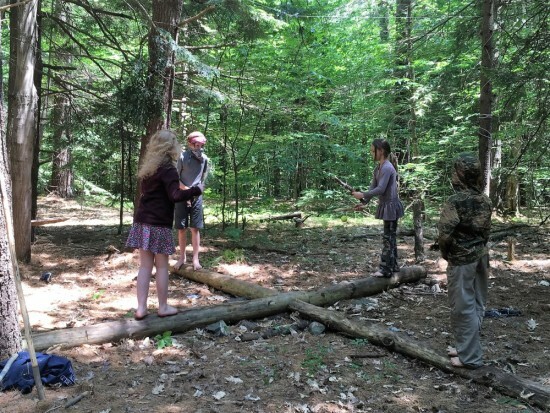 To secure a spot send a $50 nonrefundable deposit payable to “Vermont Wilderness School” (Check, Money Order) and a 1-page Shambhala Reservation Form to Vermont Wilderness School, PO Box 2585, Brattleboro, VT 05303. OR you can fill out the online application and pay via PayPal – see the sidebar to do this. Click on this Link to go to the Online Reservation. Or you can print out the Reservation Form and send in a $50 check non-refundable deposit or full camp tuition.